I have theorized about the creature that Linda Godfrey calls a manwolf on a number of occasions in these pages. In this post, I actually lay out a number of different theories about what might be responsible for these sightings. This week, on Expanded Perspectives, Cam and Kyle talked about the upright canids in depth and even shared some of the classical historical stories of a race of dog headed beings that seemed, in the stories at least, to be quite real. While these beings did not speak the local lingua and were deemed ‘primitive’ in that they did not cook food and seemed to survive via hunting, they were also noted as great warriors and were respected enough to be offered tribute in some of the stories. There are a number of possible explanations for these legends, the most likely of which are that the people telling the stories were misinterpreting tales about tribes of warriors who lived apart from the people and spent their whole time training for war and surviving in harsh conditions to allow them to be ready for battle at any moment. Think of the harsh conditions that modern day special forces troops endure and you begin to get the idea. When you take into consideration academic papers like Kris Kershaw’s The One Eyed God: Odin and the Indo (Germanic) Mannerbunde, you will note that this is precisely how at least some Indo-European tribes initiated their warrior caste. Despite being very aware of such academic work and accepting some of the ideas put forth by these papers, I have been conflicted intuitively. In my Otherworld experiences, I had encountered beings that looked suspiciously like these dog headed beings from the classical legends; beings who, in fact, bore a marked resemblance to the ancient Egyptian god Anubis (actually a Greek rendering of the Egyptian name). These beings were not humans in the homo sapiens sense but they certainly were a people. Recently, as the result of some deep work I am doing, I have had some communication with one of these spirits and I think her words might shed light on aspects of the manwolf / dogman mystery. Please note the material below is the result of my trance work / meditation and I make no claim to its ‘truth’ outside this realm. First, it was pointed out to me that the Ancient Egyptians actually had at least two canine headed gods – the one who came to be called Anubis and an older being, more wolf like called Wepwawet in the Kemetic tongue. Interestingly, these two gods would correspond to a couple of the types of upright canids being seen – the smooth coated, black beings that seem to pop up a lot in people’s homes and the more gray coated wolf type beings that are often confused with werewolves. I was given to understand that these two gods were the ‘types’ for a whole group of spiritual beings who serve in the same capacity that Anubis and Wepwawet did: as guardians of specific ways through the worlds (such as those only open to the dead or shaman), as openers of those certain ways for those who pass the requisite tests, as judges of who has passed the tests, as keepers of sacred sites and as guides to both those who have died and shaman who walk in the Otherworld. While these dog / wolf headed ones, seldom wander onto our plane; it is not beyond the realm of possibility. In addition, my companion notes that, given their function, these canine guardians are able to project very strong psychic impressions of themselves that most humans would consider to be absolutely “real”. She states that not all of the ‘manwolf’ incidents (she loves this term and finds it amusing) are the result of encounters with her people but that some certainly are. She warns that humans are most likely to encounter such a being when they stray into sacred areas without the proper attention and respect. Examples of these places would be cemeteries, First Nations mounds, intersections of what have been called ley lines, crop and stone circles and even places where unidentified aerial objects have been seen. Her people may manifest in either their two legged guise or they may appear as overly large canids of various shades of black and gray with glowing eyes ( I see her eyes as glowing yellow or gold but there seems to be a red eyed variety as well). My friend advises that she and her kind are not to be feared unless the human is caught in an act of desecration. Even then, the interloper will most likely simply be run out of the area and given the scare of his or her life. There are instances where the actions of one of these dog headed ones has resulted in human death but this is usually the result of some constitutional flaw in the human – i.e. a weak heart. Should you encounter one of this tribe, acknowledge the being with respect and walk slowly from the area. As with dogs and wolves, running is not advised as it kicks in the prey drive which, even with their strong intelligence, these beings find hard to quell completely. I have found this spirit and her tribe to be good comrades in the Otherworld. As with all spirit communication, your mileage will vary but I am putting this post up so that people will be aware that an upright canid in an area might actually be a good, or, at least, interesting sign. My friend reminds you that not everything that looks fierce is a demon! I do not remember exactly where this notification came from, Twitter perhaps, but I recently saw this story from the amusingly titled Who Forted blog. As anyone who has been reading for a while knows, I have a soft spot for stories of werewolves and Black Dogs and the recurrent reports of manwolves throughout the US (and now, per Linda Godfrey, the world) make my ears perk up, so to speak. As manwolf stories go, this one is pretty typical. A night shift worker has not one, but two, encounters with creatures that appeared to be bipedal and wolf-like. Interestingly, both times, the beings seemed to be moving in groups and the witness did note several color variations. The author of the blog post, Ken Summers, also noted that Linda Godfrey had reported a manwolf incident in the same area in her book Real Wolfmen. Mr. Summers goes on to note a possible mountain lion sighting in the area – unusual since mountain lions are supposed to have been killed off in this region. Silver Creek is a tributary for the aptly named Wolf Creek. Long ago, Timber Wolves were common across Ohio, though as farming developed among early settlers, these furry canines became less of an accepted part of the wilderness and more of a nuisance as the animals hunted and killed many sheep. Thousands of Ohio wolves were hunted, trapped, and poisoned in an effort to eradicate them from the area. 1842 marked the final killing of a wolf in Ohio and the end of the wolf’s presence here. While wolves have been driven from Ohio, perhaps something far more frightening has replaced them. Silver Creek is in Ohio, home of a number of mounds left behind by early indigenous peoples. I’ve theorized, in past blogs, that the manwolf might, in some cases, be a sort of materialized guardian left in place by the medicine people of those early tribes to protect the mounds and burial sites of their people. Reading Mr. Summers’ piece, though, another thought occurred to me. Anyone who has taken even a cursory look at the new shamanism, as proposed by people like Michael Harner and Sandra Ingerman, will be familiar with the concept of a power animal – a spirit, in animal form, that serves as your guide during shamanic journeys in particular areas. Some people confuse the power animal with a totem animal – a spirit, sometimes in animal form, that has allied itself to a particular group of people. The totem ranges across all of human culture from the varying societies with animal totems in the Native American traditions (the Cherokee and Iroquois had clans that were aligned to various animals) to the wolf and bear warriors of the ancient Norse who actually took on the traits of their totem in battle. A totem animal is a powerful spirit in its own right and, with the attention and offerings of a group of people, it only becomes more powerful. As with any relationship with spirit, one has to approach an animal totem with respect in order to avoid any negative repercussions and one would never harm the totem’s representative animal unless given specific permission from the spirit to do so (as in those Native and Norse folk who wore the skins of their totem for certain occasions). Harming of the totem’s representative animal can result in harm to the person who causes that injury and, in extreme cases, even death, if one violates a taboo laid by or about the totem. I am minded of the Celtic warrior Cuchulain (the hound of Chulain) who was forbidden to eat dog meat as a part of the relationship with his totem. Cuchulain was killed in battle after being tricked into eating the flesh of a dog by an enemy. So, what has this to do with our manwolves? Simply, the wolf is a common totem amongst Native people. 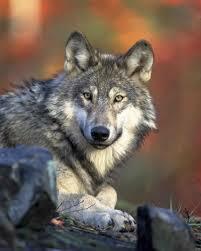 It is admired for its hunting ability and for its structured, efficient and loving pack life. We know that the European settlers regarded the wolf with fear and loathing. Once they had driven the Native people from Ohio, settling them in out of the way places or killing them, they turned their hand immediately to what they knew best – farming and livestock husbandry. Wolves and other apex predators went from being respected representatives of their totems to wicked slayers of sheep and other livestock, good only when they were dead. I admit that my thinking is pure conjecture. I’ve not done any journey work to test this theory. It simply makes intuitive sense to me that the spirit of the wolf might want to periodically remind the ancestors of those rapacious settlers that they are not the apex predators that they think they are. The manwolves could be something like a tulpa created by the spirit of the wolf or they could be the spirits of those who walked with wolf skins on when they were alive and who have become a part of the spirit of the wolf in death. While I have heard of no serious injuries in manwolf reports, the creatures certainly scare the life out of most who see them and many witnesses report the strong feeling that the creatures would and could do them harm. Maybe, just maybe, the physical wolves are gone and have been replaced by representatives from Wolf itself. Linda Godfrey, the noted writer on all things werewolf/manwolf/dogman, posted this excellent sighting to her blog on 24 July. This report has it all: a midnight encounter with something unknown, a subsequent call to the police who not only believed the witness but advised her to be careful (with the unspoken implication that there had been other sightings) and footprint evidence that indicated a pattern of the creature “hanging out” around this home. Ms. Godfrey even included a witness sketch that will, if you are not a complete skepdebunker, raise the hair on your arms and the back of your neck. They (deeply impressed canid footprints) were also very evident in the mulch around her house, especially under several windows. One of the windows belonged to the couple’s young teen, who has a special needs disorder. The teen had been telling the woman that there was a “monster” peering into the window almost every night for a month, she said, but it was never there by the time she got to the room, so she thought the teen was imagining things. She does not think that any more, she added. So, this ‘critter’ has enough juice to give itself physical substance and has made itself known to the lady of the house, in the middle of the night, resulting in the woman’s complete lack of sleep that night. Additionally, the creature has been playing peek-a-boo with the above-mentioned teen, disappearing before anyone, other than the child, could see it. I think we can safely assume that the woman’s inability to doze off that night and the child’s reference to the ‘critter’ as a monster places this being firmly in the ranks of the Intruders. This one, like so many of its kind, seems to feed off fear and it has had an open season food source with the developmentally disabled teen (and now the mother). I’d love to see someone place a circle of rock salt mixed with some silver shavings around that house (both etheric repellents), give it a good strong magical charge and see what our midnight visitor had to say then. Now, there are a subset of people who have suggested that the manwolf/dogman is a tulpa – a thought form – created by ancient shaman or other magicians to guard certain sacred sites. Given the behavior of some of these beings, I think this is a valid assumption. I am thinking, for example, of the 1950’s sighting in one of Ms. Godfrey’s books, where a gentleman is confronted by a manwolf standing on top of an Indian mound (if I recall correctly) and actually growling something that sounded like words. The witness got the message and backed off and there was no further interaction with the beast. Such an encounter clearly marks the actions of a magical guardian. I do not think, though, that we can use this thought as a universal field theory of big hairy monsters. The behavior of some manwolves is entirely reminiscent of the Phantom Black Dogs of the UK, for example, in that they seem to favor cemeteries and other burial sites. Given that these creatures are often described as black or dark gray, I have been given to wonder if they are not an American iteration of the PBD, perhaps bent into a slightly different shape by the energies of this land. PBD’s, while sometimes scary to the percipient, do not usually cause harm (yes, I am aware of the very notable exceptions) and may, in some cases actually act as way-faring guardians, especially to women wandering alone at night. The PDB is strongly associated with death and, in some counties of the UK, the lore indicates that to see one portends a death in the family. I have not noted any such correlation amongst the manwolves here. Coming back to our witness in Hartland, though, I do not see this ‘critter’ being a guardian. First of all, a thought form requires a lot of energy and concentration to form and then maintain. While the thought form of a skilled magician can certainly seem as real as the person sitting next to you, very rarely would one become powerful enough to actually clothe itself in etheric substance so that it could have the mass to make the paw prints seen at the scene. Essentially, we would be talking about a thought form that had escaped the control of its maker, developed a way to feed itself energy and eventually became strong enough to take on etheric substance. It is unlikely almost to the level of impossible for all three things to come together and stay together for this long. In addition, if this were a programmed magical guardian, it would not be peeping in windows and startling people in the middle of the night. It would be responding to its programming, appearing when the humans breached its perimeter (wherever that might be) and doing its level best to either scare them off or do damage to keep them away. That damage might range from manipulating energies in the area to cause psychic anxiety all the up to physical harm (usually done by effecting the etheric body of the person). If this were a guardian that these people had accidentally provoked, I think they would know it. As I said above, I think that this is one of the Intruders who is projecting a form that is guaranteed to give it plenty of fear energy to feed on. I have periods of time in my work where I am tasked with doing a very necessary chore but one that does not require a great deal of brain power. I use those times to catch up on various paranormal podcasts (with headphones on, of course). Recently, I caught Linda Godfrey, the noted bipedal canid researcher, on Beyond the Edge Radio and she was talking about an episode of the TV show Paranormal Witness that was based on a sighting report contained in one of her many books. “The Wolf Pack” is the story of a family who encountered not one or two but five upright bipedal canids on their property in Maine. The three people in the home at the time were literally kept from leaving during an entire night, despite the father’s best attempts to reach either his vehicle or his guns. While the TV episode does its best to make this scenario even more creepy and atmospheric than it already is, the bare facts of the case are enough to give one pause and to give us further cause to consider some of the signs that surround the opening of an access point between the worlds. First of all, as I have mentioned before, I do not think that what Ms. Godfrey calls a manwolf or a dogman is the same thing as a werewolf. In magical terms, a werewolf would be a human being who seems to be capable of accessing wolf energy (or perhaps their own predatory shadow) and generating an etheric shell which resembles either a quadruped wolf or some hybrid thereof. It appears that the creatures Ms. Godfrey is studying are something “other” – either an unlikely canine mutation or beings of the Otherworld who sometimes cross over into our dimension for purposes that we can not entirely ascertain. I talked in my last article about the Silence as an early warning sign for the opening of access points from one world to another. That was certainly the case in this occurrence. There were two times when the witnesses noted that the forest around their home had gone dead silent. In the first instance, they noted that deathly stillness on the night when they saw the lights in the woods that seemed to be a precursor to the wolf pack event. The second instance of the Silence happened right before the creatures were actually spotted. One of the reasons that I do not think the manwolf is a canine mutation (and that Sasquatch is not a bipedal giant ape) is this phenomenon of the Silence. If the manwolf were a physical world predator, then you might see a localized area of silence in its immediate vicinity but chances are that other animals in the woods would make the beast’s presence known. This is why predators are not always successful when they hunt; other animals, if they detect the predator, will alert. When the Silence descends though, it is just that, a silence that is undisturbed by any movement or sound in the wood. To say that this is not natural is an understatement. To my knowledge, the only source of the Silence is an incursion from the Otherworld and, since we see this phenomenon associated with both the manwolf and Sasquatch, this leads me, again, to the conclusion that these creatures (and many other strange things reported) are just visiting this realm. We see another warning sign of Otherworld intrusion cropping up in this incident: the lights that were seen in the forest some time before the manwolf event manifested. While some might instantly jump to UFO’s as an explanation (and technically, since these lights were flying and were unidentified, I suppose they were UFO’s), I am inclined to view these lights more along the lines of the legendary ghost lights seen in areas across the country. What many UFO researchers do not take into account is that there is a long history of association with these floating points of light and spirits, mostly of the dead or the Faerie. In other words, the ghost lights appear to be “lightweight” manifestations from the Otherworld. In my view, the ghost lights might be the first signs of manifestation around an access point or the first beings able to make it through a portal that is not fully open yet. People who have had close contact with these lights often note that they seem to be sentient and will actively avoid people or play a sort of hide and seek game with humans, moving off to a distance and encouraging following, only to move off when the person gets too close. The concept of being Faerie-led into a bog or other dangerous place derives from these will-o-the-wisp type of lights. I have seen lights or so called orbs manifest in and around the circles used by magicians although I think that these may simply be signs of the gathering energy in a working. Perhaps these lights draw energy from the opening portal in much the same manner. So, now we have identified two phenomenon that seem to accompany openings of access points from the Otherworld into this one and subsequent high strangeness. I am going to be considering other early warning signs that one might use to predict or at least recognize an outbreak of high strangeness and I will write about those in future blogs. 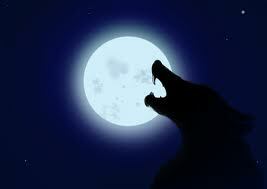 The Michigan Dogman: Werewolves and Other Unknown Canines Across the U.S. I am just back from my moving adventure and trying to get back into the swing of things again so I thought I would post a book review that I actually posted to another source back in 2012. Not to beat around the bush, I highly recommend this title. If you are at all interested in the manwolf/dogman phenomenon, werewolves, phantom black dogs or any other sort of canid cryptid, go buy this book. In fact, if you simply enjoy a good story that will send shivers up your spine, go buy this book. I have actually been waiting to read this work for a couple of years. I have consumed, and thoroughly enjoyed, Ms. Godfrey’s previous offerings, The Beast of Bray Road and Hunting the American Werewolf. I have found both books to be packed with information, presented in a wonderful, wry manner and those who read this blog regularly will know that I refer to them on occasion. Ms. Godfrey obviously does not take herself too seriously even though she is now a nationally recognized expert on this phenomenon. I only wish that this author’s publisher would see fit to put her books out on Kindle since some of us have very limited shelf space for real world books. I waited for some time, in hopes that the book would come out in an e-version, and finally gave up and purchased a paper copy. Despite this small peeve, the book was well worth the wait. In Hunting the American Werewolf, Ms. Godfrey extended the reach of her research from her local Wisconsin/Michigan area to other parts of the country, as she received more and more reports from people across the U.S. The Michigan Dogman, despite its somewhat misleading title, continues this trend and the largest portion of the book is taken up with witness reports from across the United States. There is even a report from Canada included in the very last section of sightings. One of the things that I love about Ms. Godfrey’s work is her willingness to let the witnesses speak for themselves and not try to jam their reports into preconceived categories. Ms. Godfrey relays the sightings in straightforward and clear terms and does not fail to report details that are, decidedly, strange (for example, witnesses that had UFO phenomenon happening in an area before or after a sighting or testimony that the creature simply vanished into thin air or seemed incorporeal). What emerges is a ménage of high strangeness and it is only at the end of the book, when the witnesses have had their say, that Godfrey presents some of the many competing theories about the nature of the manwolf/dogman. I enjoyed the last section of the book as much as the sighting information. Ms. Godfrey covers some of the same thoughts and theories that I have touched on here in the blog and does so in a concise fashion that allows the reader to acquaint him or herself with the subject without being overwhelming. Godfrey includes a reasonably extensive bibliography for those who are interested in pursuing subjects further and makes recommendations for books in the text. All of Linda Godfrey’s books are must reads for those interested in the subject matter of this blog or even those who are simply interested in strange phenomenon. Her sometimes humorous and always balanced approach to the subject makes for a quick, smooth read and her cartoon illustrations had this folklore geek laughing out loud (see the Black Dog illustration on p. 191 as a wonderful example). I’ve seen and heard Ms. Godfrey in interviews and she has consistently stated that she really has no idea what the manwolf/dogman is. It is the rare researcher who does not have a “pet” theory or who is willing to say that A, B and C (and maybe even D, E, F . . . ) might be true. Ms. Godfrey is such a researcher and I hope that she continues to be the nexus for reports of this kind. Those who have been reading for a while may have discerned that my favorite folkloric creature is the werewolf and that I am quite interested in the werewolf’s modern day iteration, the Manwolf. I have written about this creature previously but wanted to offer the following to readers who might be interested in some interesting video. I have provided links below to two of my all time favorite episodes of the old MonsterQuest series. MQ was a show that aired on the History Channel from 2007 to 2010 and, while some of the shows were obviously the result of the writers being stumped for something to put on that week, many of the episodes were quite interesting and, dare I say it about a TV show, even informative. Other than these episodes, about my favorite monster, the series did several episodes about Sasquatch that bear watching if the reader has an interest in that area of cryptozoology. The episodes linked here are based, for the most part, on Linda Godfrey’s second book Hunting the American Werewolf. Several of the witnesses from that book appear in these videos and some of them even consent to take a lie detector test to determine the veracity of their claims. Interestingly, the examiner, who appeared to have good credentials, was certain that the witnesses he interviewed were speaking the truth. If we do not take the “skeptical” path and dismiss the testimony as a hoax or mis-identification, either these folks saw something really unusual or they at least believed that they had seen something unusual. So, I recommend taking a look at these videos. They give a good overview of Manwolf phenomenon, have some interesting witness stories and the 3D computer generated recreations of the creature might just give you the chills. If you are interested in the Manwolf phenomenon, Ms. Godfrey has two other books out that will entertain and fascinate you: Hunting the American Werewolf and Real Wolfmen: True Encounters in Modern America. I was recently re-reading Linda Godfrey’s wonderful The Michigan Dogman and one of the things that I noted, over and over through this book, was that many of the witness sightings seemed to be transient, roadside events. As with the Dallas Werewolf testimony, the percipient was driving along a quiet stretch of road when suddenly he or she saw the creature, either running along the side of the road, feasting on road kill or chasing prey across the road. The manwolf is there and then disappears into the dense undergrowth leaving the witness dumbfounded and, often, (I think justifiably) afraid. As I have noted throughout these blog pages, I am convinced that many of the “monsters” that people report seeing are in actuality denizens of the Otherworld who have, in some way, extended through the etheric and manifested themselves in this world. Many of these manifestations (most famously Sasquatch) manifest in an extremely physical way and it seems to me that the manwolf falls firmly into this “hard” physical manifestation category unlike its cousin the Phantom Black Dog which often seems more spectral. Its interesting to note that when people have had interaction with the manwolf in situations other than the “drive by” reports, the scenario changes and that the manwolf has very canid behavior patterns. The manwolf that is blundered upon in the woods can be quite aggressive, beginning with a level “I don’t care if you see me” stare and progressing to chasing people and even scratching them. Interestingly, though, there have been no reported bites despite the manwolf’s formidable dentition and almost supernatural speed. Those familiar with wolf social behavior will recognize this chasing behavior immediately. Despite their fearsome reputation, wolves very seldom fight to the death in dominance or territorial disputes. Instead, the wolf will put on an escalating series of threat displays, running from hackles up, stiff legged circling and staring into the eyes of the opponent to bared fangs and chasing and/or shoulder butting a potential usurper or intruder. The interloper’s submissive or aggressive response to these behaviors determines whether the situation escalates into a fight where blood is drawn and more serious injury may occur. Most humans, when confronted with a manwolf, have one thought apparently: run. It seems to me that some part of the human lower brain recognizes the difference between hunter and hunted and knows that the manwolf, in this case, is the hunter and that we are very likely to become prey. One might argue that fleeing should invoke a predator’s hunting response but I theorize that the manwolf may see a human in its territory as more of an intruder and less a prey animal. In a situation of dominance or territory, it is often the case that the challenged wolf will chase his or her opponent for a distance, causing them little harm, once the interloper has begun to retreat from the scene. It seems to me that we see precisely this behavior in the manwolf. I have to wonder though, what might happen if some brazen individual stood his ground or decided to take a shot at a manwolf engaged in these threat displays. I am not an alarmist but I do know that people disappear in the wilderness all the time. Some of those disappeared may be people who were unlucky enough to tangle with a really aggressive manwolf or humans who tried to brazen out an encounter with one of these creatures. In addition, some of the disappeared might be folks who were unlucky enough to encounter a pack of these beings. When pack dynamics come into play the whole dominance issue takes on a completely different cast and an intruder is liable to be in for a bad time unless he or she can manage to exit the area very quickly. Best advice: if you happen upon one or more of these creatures, keep your distance. This is not a creature you want to practice your martial arts skills on unless you have no other choice. If you are caught unawares, I still maintain that cold iron is your best defense since it will dissipate the physical manifestation but you have to get close enough to use it. Not a high percentage move – in this case, discretion really is the better part of valor.